I'm not quite sure what started it off but recently I’ve been thinking quite a lot about beauty products and how long they can actually be used for. I have a few products lying around that I have had for several years, but it’s only more recently that I have discovered that they may be well past their best and that some of them may actually now cause allergies, infections or may even be harmful. Have you ever noticed this little symbol on your lipstick, body lotion or any beauty product? Do you know what this actually means? This is when I’ll discover that actually everybody knows what this means and it was only me that didn’t know! 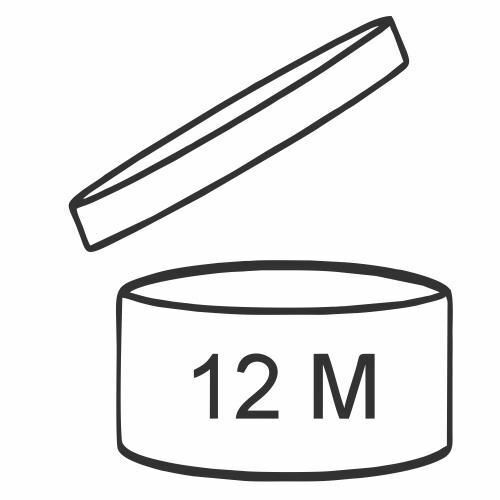 Well, a couple of years ago I found out that this symbol in particular means that the product should be used within 12 months, but this could say 6, 24, 36 etc. So what I have been thinking about recently is if a particular product should be used within 12 months of, I assumed, when it was made, how exactly do I know when the product was actually made? I don’t know how long it takes products to reach retailers after they have been produced but what if when I buy a product it’s already 6 months old, how would I know? I know that several bloggers have discovered that you can get some bargain products in some shops that you may not have even expected to sell cosmetics. However, after I had a chat with some people on Twitter the other day I discovered that you do have to be cautious after it was revealed in the media that beauty products sold in some of these stores may already be several years old. This then led me to my next trail of thought which was, well why don’t manufacturers put the date that the product was manufactured on the packaging, or an expiry date so you know when the product should be used by. As some of you may be aware Lush do indeed put expiry dates on their products, but maybe this is because they make all of their products themselves? 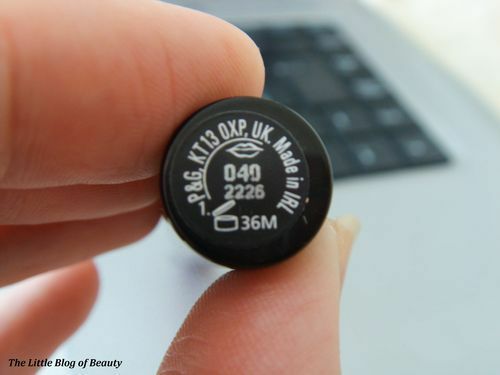 A couple of days ago I was reading a post by Julie on her blog Raining Cake which was about a couple of really cute lipsticks she picked up while in Hong Kong (the lipsticks were actually made in Taiwan) and I was delighted to see that on the back of the packaging there was an actual expiry date (you can find the lipstick post here). So maybe in other countries they do provide expiry dates for products? I decided to do a little bit of research online to see if there was any way of finding out when a product was manufactured and I came across an interesting website that I want to share with you all. The first thing I discovered from this site was that the symbol at the top of this post actually shows the Period after opening (PAO) time, which is different to the expiry date of the product. So to provide an example, you buy a mascara which has an expiry day of 31st Dec 2013 and a PAO of 6 months. If you open the mascara now this means you should throw this away in 6 months time (around 7th Nov 2013) even though the product hasn’t reached it’s expiry date yet. However, if you don’t open the mascara until September, even though the PAO is 6 months you should throw this away after around 4 months because you will have reached the expiry date. If you’re slightly confused there are a couple of diagrams on the website which you can find here. On a couple of sites it says that an expiry date should be specified if the product has a shelf life of 30 months or less and that this should be printed directly on the packaging in the form month/year or date/month/year. 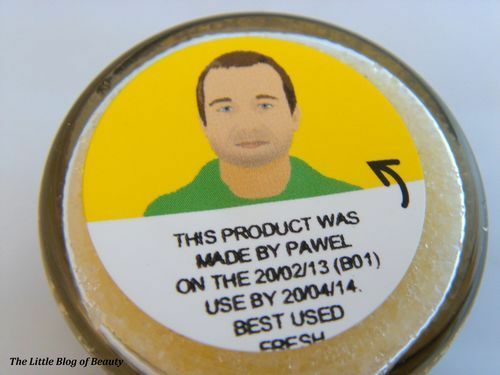 However, I have checked several of my products and none of them have an expiry date on (maybe because they all have a shelf life of over 30 months?). The second thing I discovered on this site is that they have what they call a Cosmetics Calculator, which I am really quite impressed by! As long as the brand you are interested in is supported by the Cosmetics Calculator (many brands are supported and new ones are added occasionally) you put in the batch code from the product and the calculator tells you when the product was manufactured and some general information about the products shelf life. manufactured on 14th August 2012, but doesn’t provide any further information. 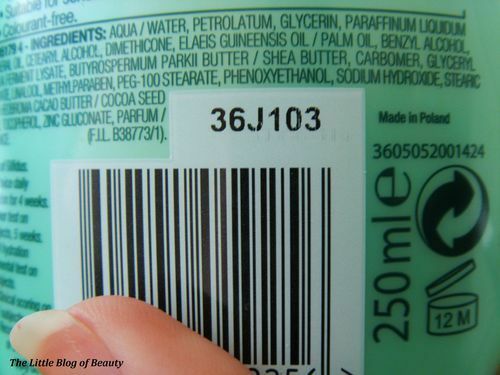 If I enter the batch code from my Garnier body lotion, which is 36J103, it tells me that this was manufactured in January 2012, that this has a general shelf life of 36 months and that this is valid for at least the next 20 months (the time remaining of the general shelf life). I obviously need to bare in mind though that I have opened this so I actually only have at most 12 months before I should throw this away. Something I have noticed is that it’s not always easy to identify what is a batch code. Some products have several different numbers or codes printed on them and one product I picked up had two different numbers just under the barcode, both of which bought up different dates in the Cosmetics Calculator. But this could be really useful for identifying exactly or even roughly how old a product already is when you buy it. Now I’m just left wondering, if you can find out when a product was produced and when it should be used by, why don’t brands just put this information on their packaging? You can find the Cosmetics Calculator here. This is a really interesting post and the calculator you found is pretty cool! Perhaps actual expiry dates will be put on products eventually because even the little PAO symbol is relatively new development from within the last 5 or 6 years.